iTunes is a media management application developed by Apple Inc. You can search for music, movies, TV shows, podcasts, audiobooks etc. It also lets users to sync media files between their iDevices and computer. But people who want to make a switch to Android from iPhone faces difficulty exporting their iTunes library to Android as it isn’t compatible with Android devices. So, people have been demanding iTunes for Android so that they can enjoy their iTunes library even on Android. But since it isn’t confirmed whether iTunes will be coming on Android, there are some other ways to transfer iTunes to Android. 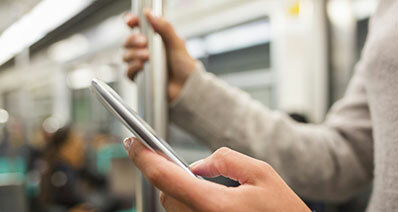 Want to make a switch from iPhone to Android but don’t want to lose your iTunes library? Well, with iSyncr, you can transfer iTunes backup to Android from your PC. 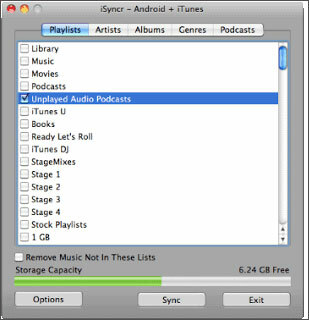 iSyncr use two programs to sync iTunes on your computer or Mac with the Android device. One is the desktop program installed on Windows Pc or Mac and the other is Android app that you can download from Google Play Store. iSyncr can sync music, playlists, podcast bookmarks, album art, ratings, play counts, and more from iTunes to Android. It also keeps track of the play count, ratings and playlist changes on the device and then sync them back to iTunes. You can sync iTunes with USB or over Wi-Fi, but where USB allows syncing playlists, podcasts, artists, albums etc. 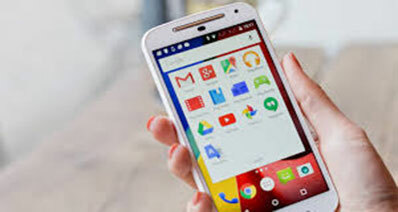 to Android, Wi-Fi users can only transfer playlists. But still, if you want to get iTunes music to Android, then iSyncr is a great option. You can follow the below steps to use iSyncr to transfer iTunes to Android. Step 1: Download and install iSyncr for iTunes on your Android device from Google play store. 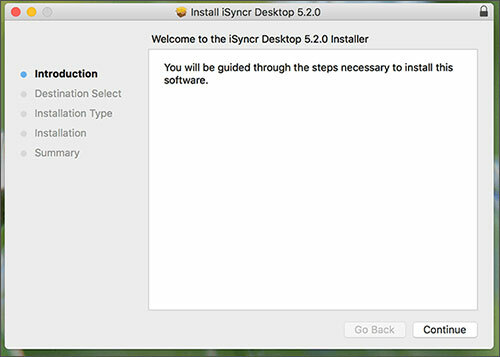 You also need to install iSyncr desktop application on your computer for it to work. Step 2: After installing the iSyncr on your computer, right-click on the “S” shaped iSyncr icon to interact with iSyncr Desktop. 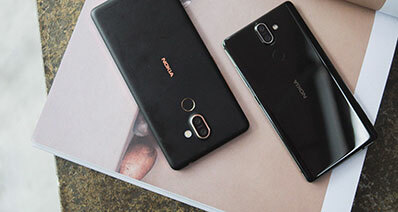 Now, connect your Android device to the PC. Right-click on the iSyncr icon and then select Android device. Select the device SD card or Internal Storage. Step 3: Select music, artists, albums, or playlists and click “Sync”. It will help you transfer iTunes to Android. 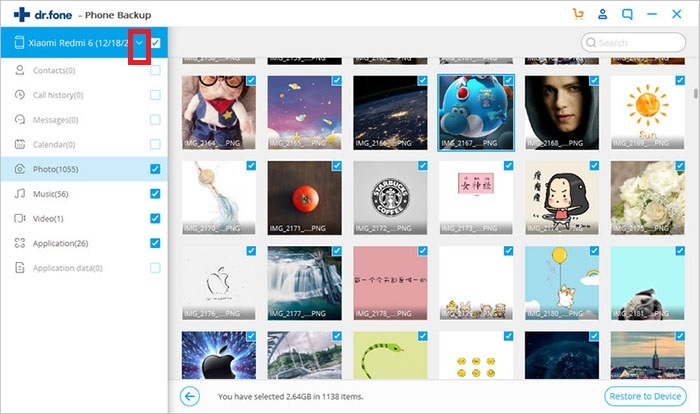 After the process is completed, you will find the selected iTunes files on your Android device. Using Google Play Music is another way you can transfer iTunes backup to android. Google Play Music is a music streaming app that lets you stream over 40 million songs. Aside from playing online music and podcasts, it can also be used to move iTunes music to Google Play Music library and then access it from your Android device. Follow the steps to transfer iTunes library to Google Play Music library. Step 1: Visit https://play.google.com/store/music?hl=en in a web browser on your computer and sign in to your Google play account. Click on “Upload Music” button in the right-hand corner of the screen. 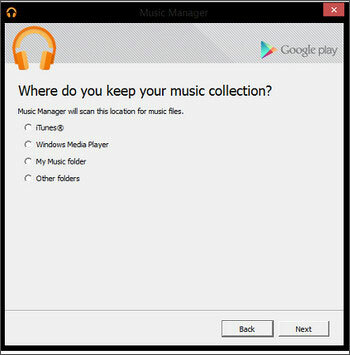 Step 2: Then click on the “Download Music Manager” button and follow the instructions to download and install music manager on your computer. then sign in to your Google play account, check “Upload songs to Google play” and click “Next”. Step 3: Select iTunes when the download manager asks for the location of music and click “Next”. It will go through your entire iTunes library and upload the playlists to Google Play. 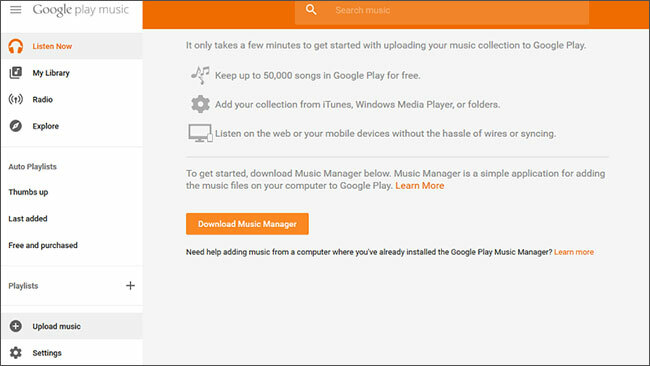 Step 6: Now, download the Google Play Music app on Android and sign in to your Google account. After signing in, you will be able to access your entire library from your device. 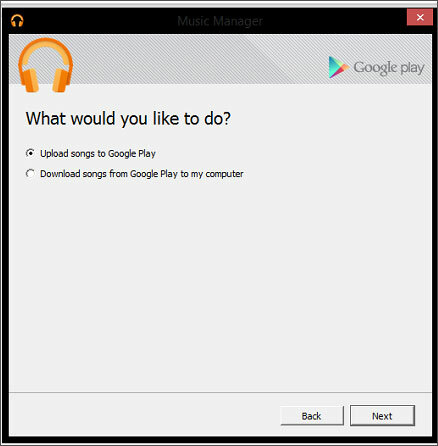 Using Google Play Music, you will be able to create iTunes like backup for android easily. 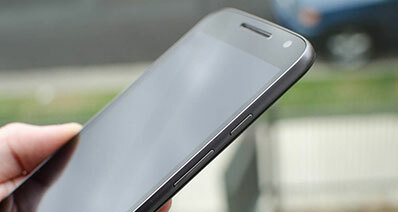 Data loss can occur anytime whether you use a computer, Android or iOS smartphone. But if you had backed up your device, then you can restore your device from the backup files. If you want a method to backup android to PC, then you can take assistance from iSkysoft Toolbox – Android Data Backup & Restore. iSkysoft Toolbox is an all-in-one mobile phone management tool with an array of features for Android users. Android data backup & restore is an integrated feature of iSkysoft Toolbox. Using this tool, you can backup and restore Android data such as photos, videos, music, call history, applications, and many others from the backup present on the computer. Due to its clean and user-friendly interface, you can easily use this powerful tool without facing any problem. You can backup and restore data such as photos, music, videos, apps, app data, call history, messages, calendar, and other data. iSkysoft Toolbox - Android Data Backup and Restore can work both on Windows as well as Mac powered computers. 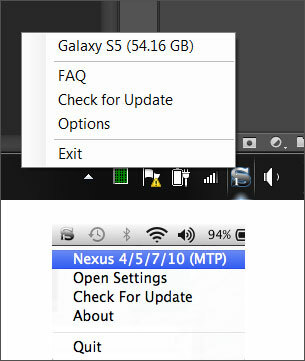 It supports all Android Devices with version 7.0 and older.